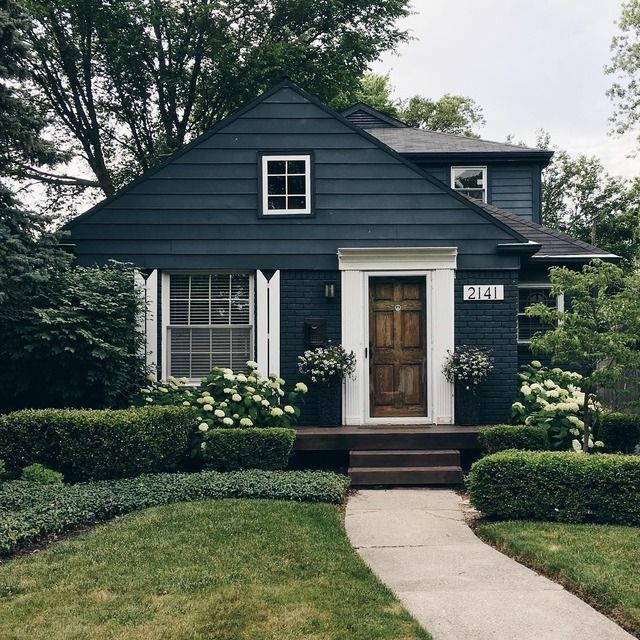 With so many things on your home improvement to-do list, it’s easy to overlook the one element to your home which will have a long-lasting impression; the front-of-house. As Winter draws closer, you may not want to do any major renovations, so it's an ideal time to make this a priority when it comes to home design. You'll be surprised how easy it is to give your entrance a facelift it deserves, so we're here to provide some inspiration with five beautiful house fronts we just adore. If you own a long driveway or path leading up to your front door, why not go the extra mile and have a stone footpath constructed. There are so many materials and arrangements to use from gravel, stepping stones or solid flagstones. Each design offers a conveys a specific personality for your home so choose carefully but have fun with the placement and create a statement. Brickwork and ceramics in our opinion is an underestimated material when it comes to the front of your house. Most people avoid using red bricks as it suggests an older time period, but if you are a fan of greenery surrounding your front door, this material as your base lets you efficiently stage this and is incredibly durable for any large planters or ceramics you use to house your plant life or flowers. 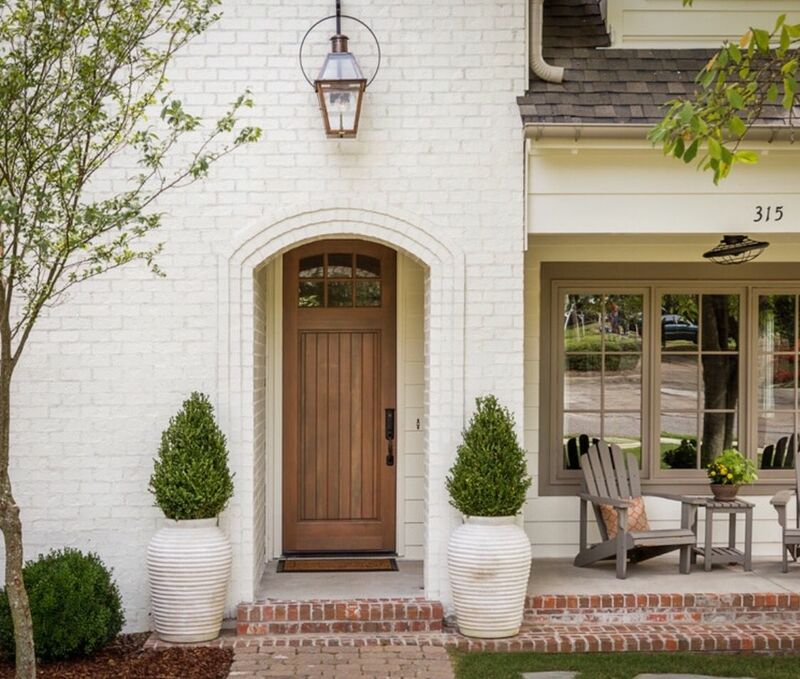 These two cream urns and simple red brick step and porch offset the timber doors and pure white entrance to this home. "We want a Shrubbery!" 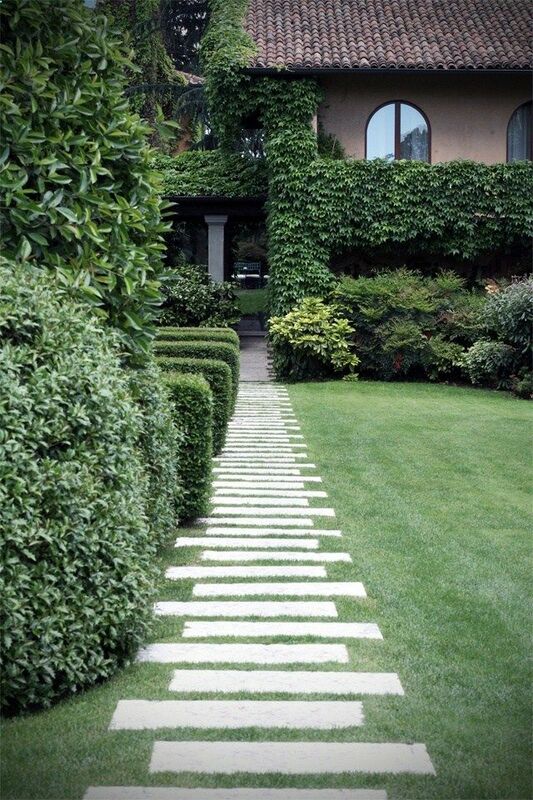 Shrubs and bushes are great natural walls but need to be regularly tended to keep their shape and to keep them weed-free. Humans love to connect with nature, so if this sounds too high-maintenance then go for hardy evergreens in pots and dedicated flower beds. 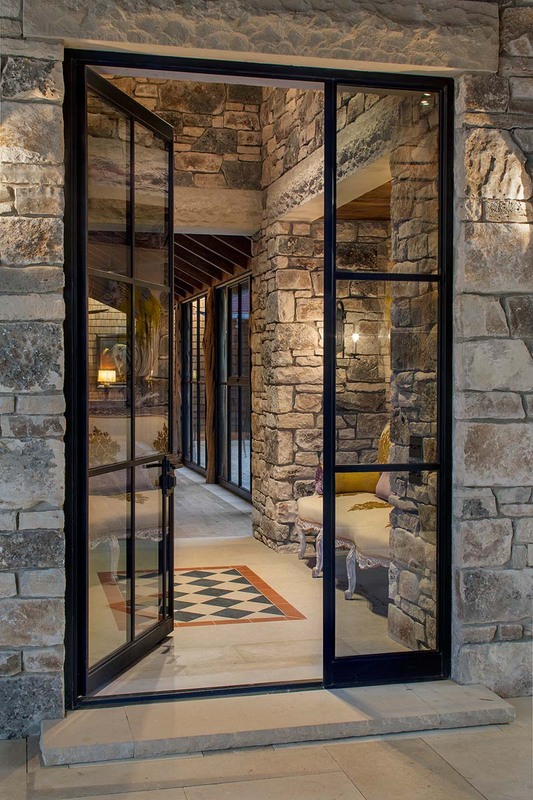 If privacy to your front door is not an issue, and you are lucky to live in an enclosed community, why not rethink your front door itself and go all out with a glass double door. Perfect for letting it more light into your home and immediately creates a contemporary statement to your home. 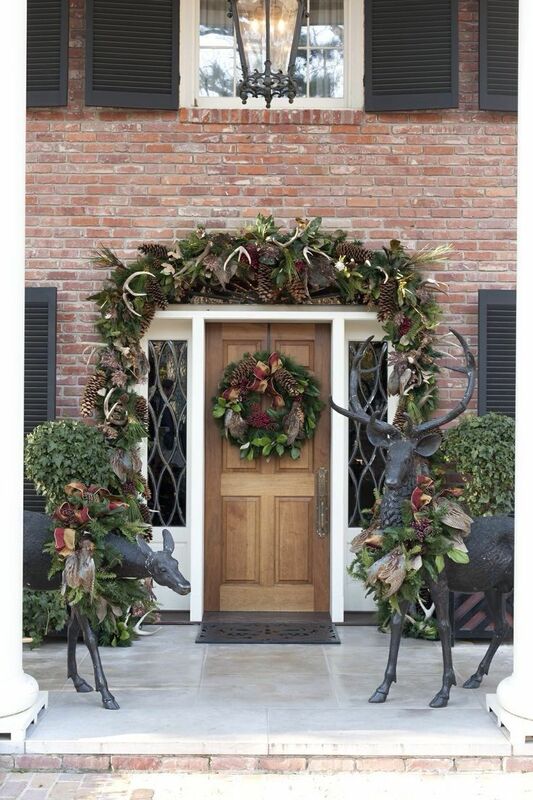 As Christmas is coming and decorations are the perfect way to bring in the seasonal cheer and set the tone for any guests who come and visit your home. Always remember, be the first to show off your decorations, and that less is most definitely more. Get the latest by following Space Shack on Instagram or Facebook.